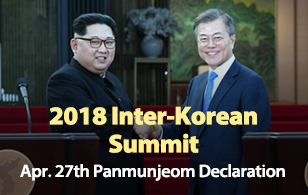 President Moon Jae-in will invite top legislative, administrative and judiciary leaders to the top office to brief on the outcome of the inter-Korean summit. 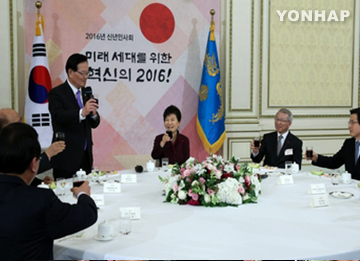 During a luncheon meeting slated for Thursday, Moon is expected to provide detailed explanations on the Panmunjeom Declaration and ask for their support and cooperation for follow-up measures. It will be the first meeting between the president and the leaders since their New Year meeting on January second. National Assembly Speaker Chung Sye-kyun, Constitutional Court President Lee Jin-sung, Prime Minister Lee Nak-yon and National Election Commission Chairman Kwon Soon-il will attend the meeting. Supreme Court Chief Justice Kim Meong-su will be absent as he is currently on an overseas business trip.